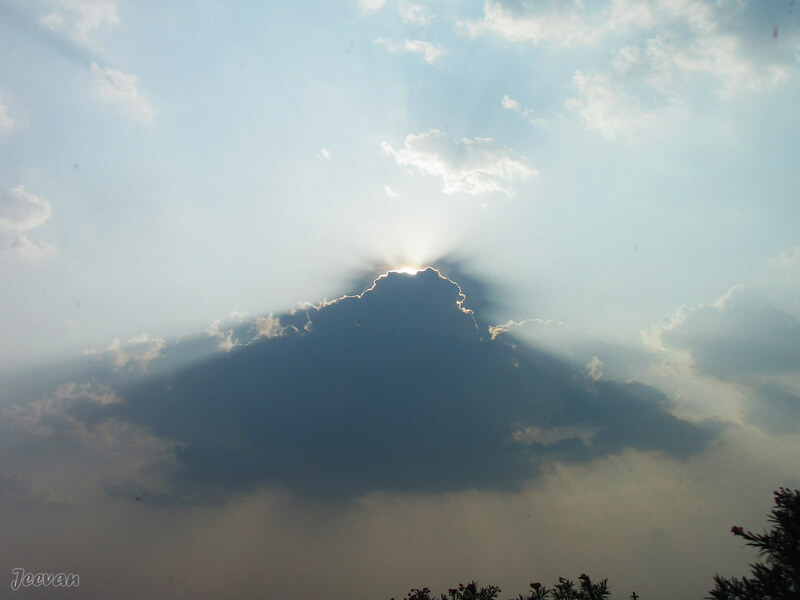 During my travel to Kodaikanal in March, I encountered this cloud formation and along with the sparking sunrays create an image of flying object or alien ship trying to land on the earth! The picture was captured around Dindigul, while traveling on NH45 and this was a scene following a series of hide and seeks between the sun and clouds, which was fun to watch and shoot the dazzling show of flashing sunbeams and grey clouds coming up in different shapes. It was also wonderful to see the cloud line or silver lining appearing above the clouds was magical but overall the alien disc was impossible to miss. You have a wonderful imagination. Spaceship indeed. Wow, gorgeous cloud and the rays are beautiful! Enjoy your day and weekend! Excellent shot and I love it when some imagination is added. Oooh! Magnificent sky shot and light ! Fantastic capture! I love the sun shining over the top - and it really is shaped like a spaceship! A great image! It's fun to look for interesting things in the sky and this one is really fun!